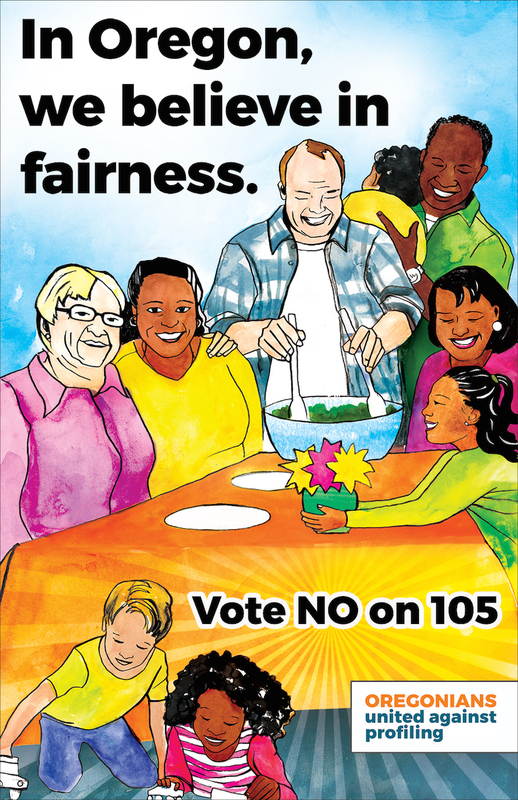 We’re not surprised that so many Business for a Better Portland members strongly oppose Measure 105, which would repeal a 30-year-old inclusivity law in Oregon. We encourage you to join BBPDX members Bridgid Blackburn and Patty Merrill (Cargo), Bryan Steelman (Por Que No), Julia Brim-Edwards (Nike), Lisa Avena (Living Room Realty), Noah Oken-Berg (Pop Art) and others at an event on the evening of October 8. Wine donated from A to Z Winery, food donated by Por Que No and Churros Locos, and music provided by Virginia Lopez!